To residents of Rittman and Wayne County the name of Ash Hall is synonymous with athletics. He has been a coach, official, organizer, and commissioner. Hall’s love of athletics began at Brookfield High School where he played basketball and football for three years. At Kent State he played baseball and football for three years. Ash was the first Kent Stater selected to a post-season All-Star squad. In August of 1938 Hall played on the Ohio All-Stars against the Cleveland Rams of the National Football League. Hall coached basketball for 17 years and football for 12. His first coaching assignment was at Greenburg (now Green High School) in Summit County. During World War II he had two football teams overseas. In basketball he compiled a record of 240 wins and 104 losses for a 70 percent mark. His football stats were 58 wins, 44 losses, and three ties for 56.7 percent. Ash started officiating in 1935, sometimes on a part-time basis, but most of the time, full-time in the striped uniform. He worked Rittman’s little league games from the time they started the program. He has served as President of the Wayne County officials Association. He has served as the only commissioner in the Chippewa Conference and now The All-Ohio Conference. In all, he has now served 15 years as league commissioner. He has also served as President of the Ohio High School Commissioners Association. 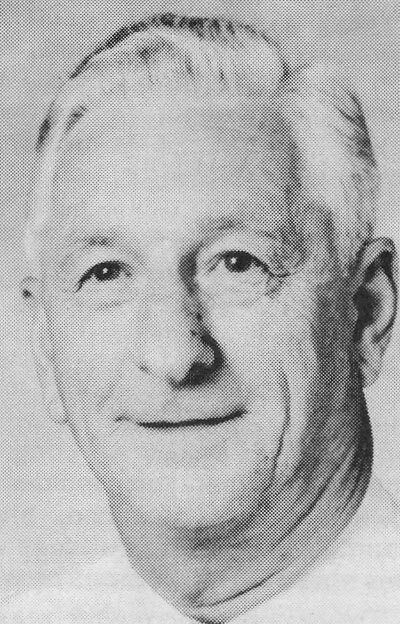 In 1947 Hall was instrumental in starting a Booster’s Club for Rittman High School athletics. He also helped to start a slow pitch softball league. Hall is currently serving a mayor of Rittman.